Sifu Jason J. Wong son of Federation President Doc-Fai Wong is currently the head instructor of the Doc-Fai Wong Martial Arts Center in San Francisco - the headquarters of The Plum Blossom International Federation. 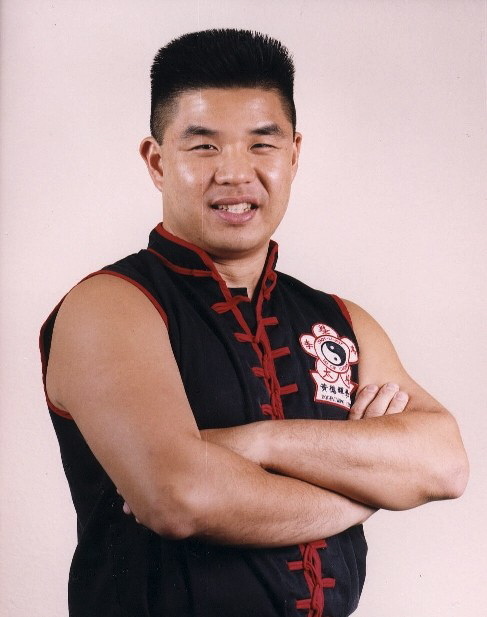 He started his training under his father at the age of four and has since been the subject of many Articles in various martial arts magazines such as Inside Kung-Fu, Black Belt, Martial Arts Masters, El Budoka (a Spanish Publication) and many other foreign magazines as well. He is well-known and respected across the country for his impressive performances and as one of the few competitors who can compete and win in Kung Fu and Tai Chi hand forms, any solo or 2-person weapon form, short and long weapon sparring, point, semi-contact and full-contact sparring, and pushing hands competitions and has been a champion in both national and international tournaments : in October 2004, The First World Traditional Wushu Tournament held in Zhengzhou, China - Sifu Jason Wong won gold and silver medals, in 1996 he was awarded as the Outstanding Instructor of the Year by IMAMS, in 1994 he was the Return of the Dragon Martial Arts Championships - Grand Champion, in 1993 he won the Grand Champion title at the Wushu Championships in Forms competition, also in 1993 at the Eagle Claw Martial Arts Championships he was the overall Grand Champion, in 1992 he was the Grand Champion at the Full-Force Full-Contact Fighting Championships, he was also two-time Fresno International Karate Championship - Grand Champion, in 1991 he placed 1st in the International Martial Arts Competitor's Federation Push Hands tournament, also in 1991 he was the AAU All-American Grand Champion and in 1990 he was the All-Star California State - Gold Cup Grand Champion. His commitment to excellence and attention to detail has made him a much sought after instructor and as such he has trained many champions over the years in forms, weapons, pushing hands, and sparring in both national and international competitions. He frequently journeys overseas to teach seminars on a variety of martial arts subjects when his father is too busy to travel.